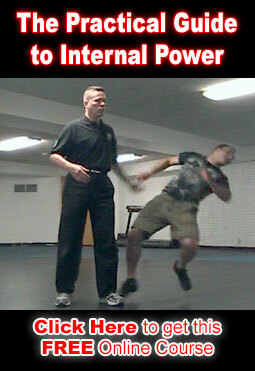 Awareness can save your life and is a critical part of your self defense arsenal. First, awareness is critical to knowing well in advance if a situation, place or event is potentially harmful to you or your loved ones. Second, awareness helps you to know what the smartest course of action is to avoid unnecessary conflict and/or to diffuse a situation with the least amount of force. Often proper use of awareness will allow you to accomplish with a word what otherwise might require a full out savage and bloody fight to the finish. I once diffused a serious street attack from half a dozen guys simply by properly directing an honest and innocent question to the right person (the oldest member of the group) in the right way. My question made him recognize and become aware of what he was doing and he immediately stopped himself and the rest of the group from proceeding. I essentially made him aware of what he was doing and that awareness was enough to help him realize that he did not have any interest in me or my elderly friend who was walking with me. 1. How close or far away is the closest possible combatant and how fast can they reach you if they choose to attack you. 2. How many people are within 50 feet or so of you and what their position is relative to you. 3. When there is a bad situation or potentially conflicting group of people, how many of them are together. Also, in a bad situation with two or more opposing groups, how many potential combatants are there. What are their positions relative to you. 4. How many people are within several hundred feet of you and are they with or independent of people who are much closer to you. 6. How much time you have to draw any weapons you have, if a bad situation occurs, and are you in a good position to draw and utilize it or them. 7. What improvised weapons are available. 8. If you are in a good position relative to your loved ones or if you need to rearrange your position and/or theirs. 9. What is the time of day and day of the week. After dark and Fridays and Saturdays are statistically much more crime prone than other days and times. 10. How are you feeling? This alone can have quite an affect on potentially bad situations. If you apply yourself I am sure that you can come up with quite a few more items that are affected by your awareness or lack thereof. With respect and best regards. I keep a constant awareness look listen, remember who is behind me. are they suspicious looking ,have they been following me. Check this in angled store windows from time to tome or simply stop take a casual look around but not fixing gaze on any specific person.